There has been a lot of gossip going around the Internet of late concerning the Nikon D3200, which some 'sources' place at a mid-month release. Two of the hottest features supposedly on this camera: a 24Mp sensor and wi-fi capability, two features that no Nikon APS-C dSLR has (or in the case of wi-fi, a feature that no Nikon dSLR has, period). Now, even before the camera is announced, many are going so far as to stick a for in higher-end models, most notably the D7000, but is this warranted? First of all, 24Mp is a lot of resolution, far more than most people will ever need. Personally, I get great 8x11” prints with 3Mp. Want to hear something even funnier? Back in high school, we were using 1Mp cameras and printing full page pictures with them. Oh, guess what? They looked great. Simply put, megapixels are one of many gimmicks designed to trick people into buying a camera based on a feature that they will never use. Another problem here, small pixels, which smart people are not all that crazy about to begin with. It doesn't take a college degree to figure out that, if two camera sensors are the same size but with different pixel counts, the one with more pixels must also have smaller pixels, too. Technically speaking, this is known as pixel density. The problem: all sensors have background noise and small pixels capture less signal than big ones and are thus less capable of drowning out the noise. Result: cameras with small pixels produce noisier images than cameras with large pixels. Go here for a detailed explanation of pixel density and here for photographic tests that prove the same point. Simply put: if it is 24Mp, the D3200 probably won't be able to touch (let alone better) the high ISO performance of Nikon's current, 16Mp, APS-C dSLRS, namely the D5100 and the D7000. Generally speaking, the top 2 ISO settings can be considered emergency use only, which means that the D3200 which is rumored to have an ISO range of WHAT to WHAT, will only be usable to ISO WHAT. 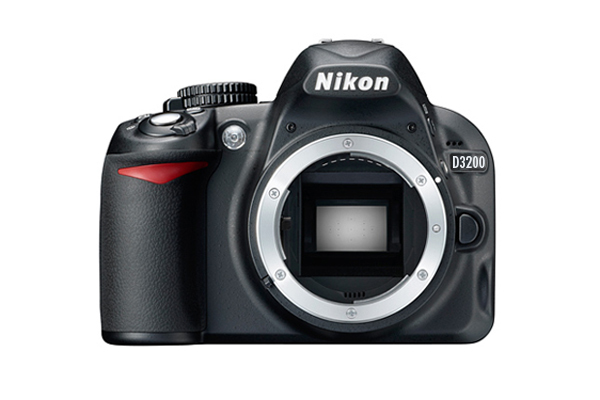 The other big rumor about the D3200 is that it will come with wi-fi capability. So what? Wi-fi has absolutely nothing to to with making pictures. Instead, it serves as a great conversation piece for technophiles who now have the ability to say “look what my camera can do” to their Facebook “friends” (who they can now share pictures with in high-resolution an instant after snapping them thanks to this wonderful technological innovation) because they are too absorbed in virtual reality to develop meaningful friendships with people in real life. Great, another reason for Nikon to charge us more money for a camera. Yes, the D7000 doesn't have 24Mp or wi-fi, but it can do a lot of things that the D3200 almost certainly won't be able to do. Personally, I'd buy the D7000 just for its ability to use the old, cheaper, virtually indestructible mechanical drive Nikkor lenses. Heck, for the price it's almost surely going to sell for (about $500), you'd be better off snagging a used D200, provided you're a photographer and not a techno geek. D3200 will be beginning of Nikon revolution in camera industry.look d800 one of best camera of its range and beyond.... sensor have been upgraded exceed 3... then d200 is also have same trimmed version of exceed 3 sensor. the sensor already in latest Sony camera have good result both still and video. we can expect good result.In technology topper than d7000 not only in pixel. Because d800 is made in a manner to increase image quality it doesn't harm pixel density.the sensor have enough power to drive to 36 megapixel.In that same manner with same trimmed sensor have enough power to achieve good result without disturbing quality. we can see new updated model of D7000(may be 7100) will be amazing D7000 and d5100 discontinued like d80. Lets welcome new technology with open heart. Do You Know What the Titanic Looked Like?